With great pleasure we present our complete offer in luxury transport and passenger service. We provide a wide range of transportation services within a large professional worldwide network named HMTS [ website: www.hmts.biz ]. Our valued clients are Executives or Key Players in the Entertainment, Financing, Investment Banking, Health, Pharmaceutical, Designing, Modeling and News Industries as well as some Law Firms, Advertising and Public Relation Companies. Our Limousine Service, Chauffeur Services and Sedan Service can be for your Business or Private trip and from a single transfer till a daily service. All our limousines, sedan, mini busses and coaches are not older than four years. From a quickly arranged transfer to an extensive corporate / financial road-show or conference or even a nice sightseeing tour, A2B Limousines guarantees you always the highest quality service every time. By using the service of A2B Limousines you can reduce the hectic of the day considerably and you can experience the advantages of safe and comfortable way of traveling. A2B Limousines offers you a complete range of high quality service of luxury transportism. 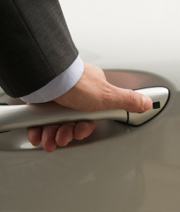 A2B Limousines caters to all your special requests – attention to detail is key! Evian or Pelligrino. Coke or Pepsi. The New York Times or The Wall Street Journal. Work, read, or just relax as A2B Limousines makes your ride safe, comfortable and hassle-free. locations such as: ABN AMRO, Insinger, Petercam, ING, Robeco, Philips, Delta Lloyd, DNB, MN Services, Aegon, PGGM, Unilever, Shell and Rabobank, APG, Seamor, Fortis.Lombard Odier, KBC Brussels, Ing Brussels. Help needed with planning a road-show or financial road-show? Find out how your road-show will benefit from our expertise in chauffeur-driven road-shows. Our dedicated road-show team will help you plan even the most complex of itineraries and our chauffeurs will drive your executives and clients safely and in first-class style. Frequent travelers know that every airport is unique. Fortunately, A2B fixed-rate Airport Service offers consistent quality you can depend on. All A2B chauffeurs are well trained, multilingual, discreet and dressed very representative. Also they are trained to maintain intimate familiarity with the layout, logistical details and surrounding traffic patterns of the airports they serve. Additionally, the chauffeur stays in constant cell phone contact eliminating every potential problem associated with getting you to or from your flight. Service with a personal touch; your favorite newspaper and drink! Arrange a nice hotel! Reserve a fine restaurant! That is what we call a personal touch. Meet and Greet at AMS Schiphol Airport . When you arrive on Schiphol Airport Amsterdam (Rotterdam / Eindhoven or Brussels Airport), your chauffeur is waiting for you at the Arrivals. Your chauffeur will hold a sign with your name (or company name) written on it! Our dispatchers will check your flight arrival time every 30 minutes! Your chauffeur will meet you inside the terminal with no extra charge! Your chauffeur will carry your luggage to your limousine! Your chauffeur will know the trip destination in advance!